“Science is the new religion.” Nowhere, outside perhaps cosmology, is this saying by Martin Heidegger more evident than in the field of biomedical science, which, like a religion, claims an absolute monopoly on true ‘knowledge’ in matters relating to illness and the human body – regarding all other or earlier forms of medicine as based on primitive or pre-scientific ‘beliefs’ in contrast to true biological ‘knowledge’ in the form of biomedical ‘science’ – the ‘one true faith’. The cultural kinship between biological medicine and religion goes even further and deeper however. To begin with, the words ‘whole’, ‘hail’, ‘hale’, ‘heal’ and ‘holy’ share a common origin. Hence the unhealthy is also the ‘unholy’, as echoed in the German word ‘Unheil’. It is not surprising then, that some religions have therefore traditionally associated sickness with sin, not least Christianity – which also laid emphasis on the healing powers of Christ as part of his salvational role. 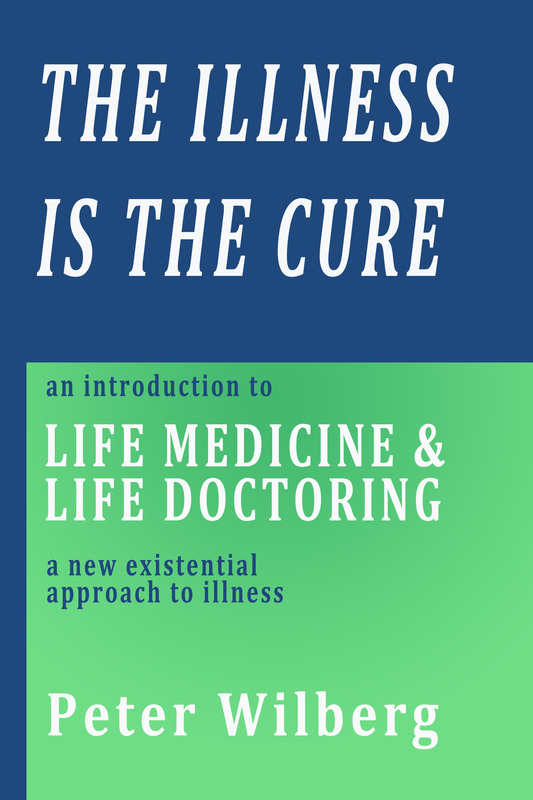 The theme of this essay is that biomedicine effectively offers the same type of salvation as a religion, so that even whilst its emphasis is on salvation from sickness rather than from sin, nevertheless in today’s health-obsessed culture, health as such has become a synonym of what is ‘good’ whereas illness is regarded as something not only intrinsically ‘bad’ but also associated with ‘unhealthy’ (read ‘sinful’) activities such as ‘bad’ foods, smoking, overeating, not taking enough exercise etc. Thus it was only a small step from the demonization of smoking to the demonization and ostracisation of smokers as such – who are constantly reminded by medical propaganda and gruesome images on cigarette packets that they will pay the price for their filthy habit or ‘sin’ – for example through eventually contracting one or another form of serious lung or heart disease as a form of punishment. Biomedical science is not only a religion of salvation from the implicit ‘evil’ of illness but also and in this way a search for salvation from death itself. Indeed through advances in genetics, biomedical science holds out the ultimate prospect of overcoming death itself – through a form of physical immortality. The new religion has evolved to the point of having its own Bible and Book of Genesis – namely the human genome – a bible which is understood by the medical-scientific high priests of this religion as literally holding all the keys to life and death, sickness and health – yet which only those high priests can decode and master. Through this new bible the long-standing quasi-religious quest for ‘miracle cures’ on the part of biomedical science continues. For though medical researchers regularly complain about the exaggeration of such cures on the part of the media, pharmaceutical companies still promote their pills as ‘magic bullets’ with miraculous powers – and that however negligible their effectiveness in comparison to placebos, or however mysterious their mechanism of action is to biomedical science itself. On the other hand, he also points out significant differences between the religion of biomedicine and the approach of traditional religions to illness and suffering. Illich himself became a supreme embodiment of such an “admirable example” during the last ten years of his life, during which he refused hi-tech biomedical treatment for a painful and disfiguring facial cancer on the grounds that it would prevent him from engaging in the most innately fulfilling and therefore most essentially healthy dimension of his life – namely his work. Yet as he also observed, the religious dimension of biomedicine is nowhere better exemplified than by the money poured into hi-tech cancer research and treatment, which increases in direct proportion to the ineffectiveness of such treatment – or its iatrogenic effects in either triggering or worsening cancer conditions as well as severely damaging the patient’s quality of life (for example through carcinogenic chemo- or radiotherapy) and all this on the pretext of saving that life. This would also explain why entirely fake operations relying only on the symbolically suggestive power of mysterious forms of technology and belief in the god-like power of clinicians or surgeons have been shown, like placebos, to be capable of producing exactly the same results as real operations – with operating theatres serving as the innermost holy sanctum of hospitals – the temples of biomedicine. ‘Putting the fear of God’ – and of death – into patients is a more recent and one of the most perversely religious dimensions of biomedicine. Thus the current standard of what is bizarrely understood as ‘ethical’ practice on the part of biomedical clinicians is to present patients diagnosed with terminal illness with a worst case scenario as regards their maximum life-expectancy. Thus a patient may be told that he or she has at most one year or less to live, even though the clinician well knows from experience and empirical evidence that though this may be the case, there can be absolutely no ‘scientific’ certainty in this respect – and that the patient may in fact live on for anything up for an indefinite number of years – or even, as also happen, go into remission. The profound and stressful psychological impact of such prognoses – and that not just on the patient’s state of mind but on their body – goes without saying. As a result it can prove tantamount to a self-fulfilling prophecy – a form of ‘death by prognosis’ – akin to a doomsaying religious prophecy or a witchdoctor’s curse. Just as religion has its own temples so does biomedicine – the hospital or clinical surgery. These are truly clinical temples, unadorned, like Lutheran churches, and replacing uncomfortable pews with cheap plastic chairs. Stands or shelves abound in every waiting room, replete with glossy printed religious tracts warning of the evils of this or that disease and/or of the price to be paid by unhealthy (read ‘sinful’) lifestyles. The institutional hierarchy of biomedicine is also like that of a church, except that its bishops are managerial bureaucrats who preach the gospel of cost-cutting and the sanctity of efficiency. 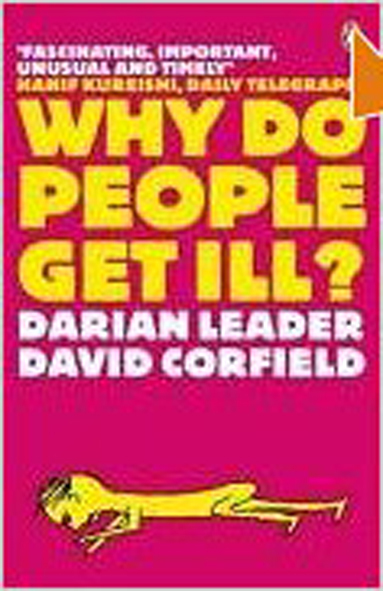 Consultation with the patients are ritualised time-limited ‘procedures’ which severely restrict the patient’s ability to share their own lived experience of illness and its effects on their lives – something which anyway counts for nothing to the clinician unless the patient’s own words can be immediately translated into the dry liturgical language and terminology of biomedical science. 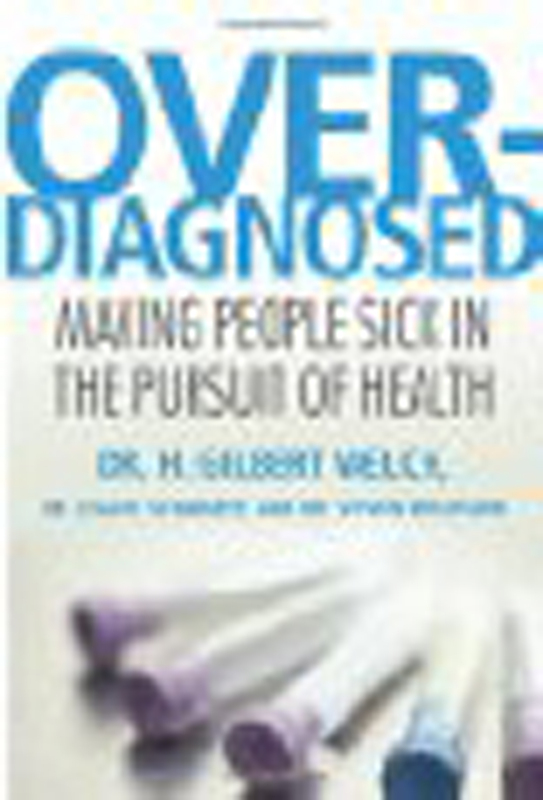 The physician is not there to listen, understand and empathise but, like the dogmatic mouthpiece of a religious belief system – simply to prescribe what the patient must do – whether this means taking a pill or undergoing a further standardised ‘procedure’ whether in the form of a blood test, a scan, an operation or a further tightly time controlled consultation with a ‘specialist’ in one or other area of biomedical theory and practice. All such procedures are of course documented in the form of medical records, reports, test results and communications. The result is that the patient is ultimately reduced to a set of documented, biomedically framed accounts of their illness in which all traces of the patient’s experience of illness have been purged. As for the written ‘prescriptions’ with which patients regularly leave their clinic or hospital, these are comparable to the so-called ‘indulgences’ granted by (or even sold) by the Catholic church, “proving relief from the temporal punishment resulting from the effect of sin” – or in this case sickness. Finally, we should not forget also the religious and globally ‘crusading’ role of biomedicine in seeking to displace local, culturally and ethnically rooted understandings of illness – which, again, are seen as mere systems of ‘beliefs’ in contrast to the supposedly universal truth of biomedical ‘knowledge’. Here we see something akin to the historical appropriation of local ‘pagan’ gods and symbols by Christianity. Yet if traditional local remedies can be displaced by – or, as is increasingly the case – modified and repackaged as patented pharmaceutical products, then of course this crusade also reaps big profits for Big Pharma – just as the Crusades were as much about bringing home booty as imposing new beliefs.